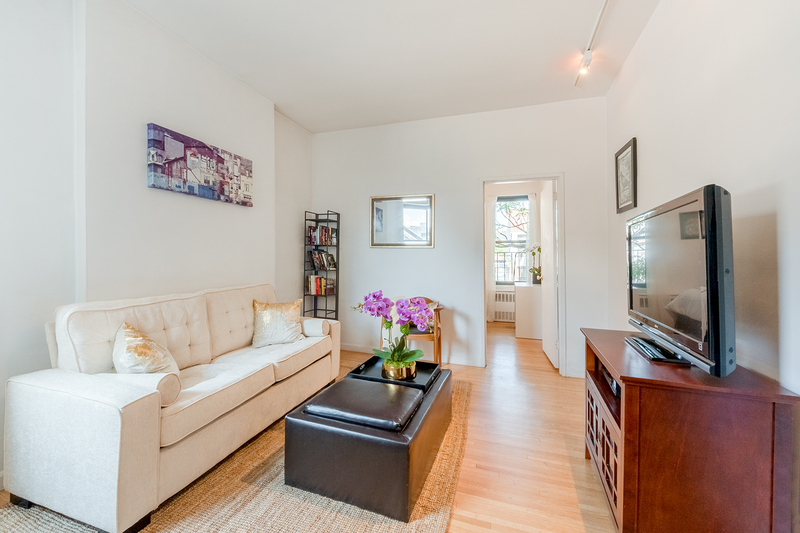 A sunny, true one-bedroom gem is now available in a centrally located elevator co-op in the East Village. This bright and airy corner home has an updated kitchen complete with a dishwasher and an extended counter perfect for dining for two. Sun shines through the southwestern facing window in the living room casting a lovely light all day long. The bedroom overlooks the trees of a quiet courtyard in the back of the building and enjoys a picturesque view of the Chrysler building in the distance. The bedroom can fit a queen bed with a dresser and nightstands and has a built-in small dresser and one large closet. 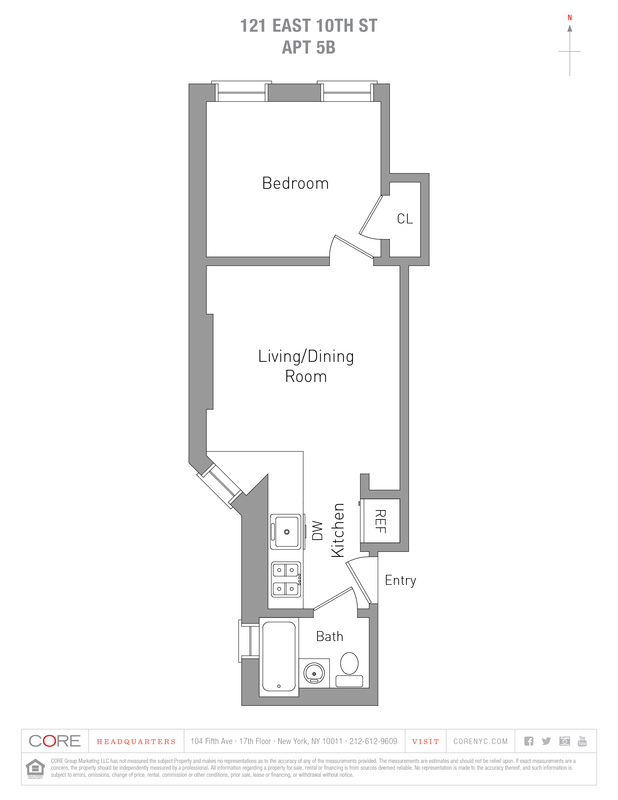 Additional features include a windowed bathroom and hardwood floors throughout and over 9-foot ceilings.